The Coyne Family went on a journey to their second Olympic Games. Like all team sports, it takes a village to be successful. Kendall Coyne, a member of the United States Women’s Olympic Hockey Team, is now a two-time Olympian, and gold medalist. 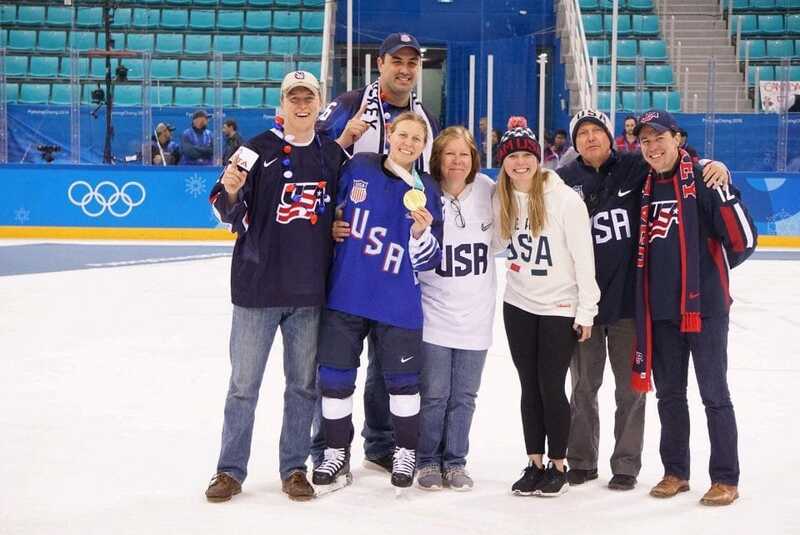 Without the support from people like you the Coyne Family would NOT have been there to cheer Kendall and Team USA on in Pyeongchang, South Korea. In order to say thank you, the Coyne Family took over the Kendall Coyne Facebook Page to chronicle the events during the Olympics. We want all who supported the journey to Korea the ability to follow along as if they were there too. Make sure to visit the Facebook page (@kendallcoyne26) to see some of the photos/videos from the games. I sincerely appreciate all the love and support from all of my friends and family who have supported me along this journey. From words of encouragement to financial support, you guys have truly made all the sacrifice well worth it. Here are some photos from the Coyne family. Check out @KendallCoyne26 on Facebook for more!